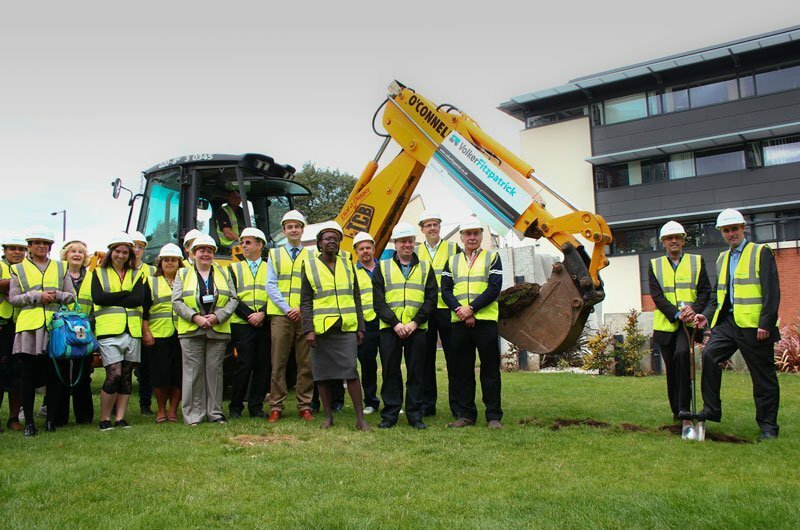 Work has commenced on site for the New Stratford Library facility at the University of East London and was marked this week with a ceremonial 'turning of the turf'. Due for completion in early 2013, the Library will transform the experience of UEL students with an attractive, inspirational and flexible learning and research environment. It will boast the latest technology with an advanced digital library, self-issue and return services and an automatic book sorter. The building will feature an internal garden situated within a central atrium. Paul Chopra, UEL Stratford Campus Library Manager said: "It's great to see building work commence on this exciting new project which, when it opens in 2013, will add so much to the student experience for those studying at Stratford."